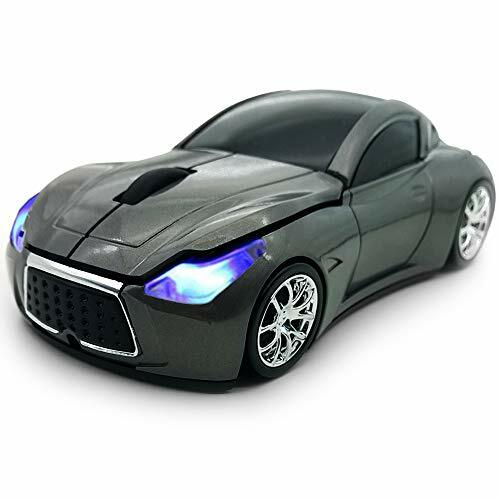 Cool sport car mouse style mouse, eyecatching ergonomic design. Unique headlight design, works well in the dark at night. Mini Receiver can be contained into the mouse and easy to carry.Light weight enough to take it everywhere, a good choice for home use and on the go. jumping, 1600 DPI is good for daily use and playing game. Support most operating system, Windows 98 / ME / NT / 2000 / XP / Vista / Win 7 / Linux or Mac OS. 1. The Batteries are not included. 2. The Mini USB Receiver was stored in the mouse, you need to pull the top cover open, you will find it. If you have any questions about this product by TDRTECH, contact us by completing and submitting the form below. If you are looking for a specif part number, please include it with your message.